There’s a wave of half-year and quarterly reports being released from the car manufacturers across the industry around this time now. With Volkswagen displaying increased deliveries, Jaguar Land-Rover reporting downturn in sales and pre-tax loss due to external and political factors, it’s time to look at Porsche AG report. For us all it’s an interesting time to see how the manufacturers stand, how their volume makers stack up and what are the main driving factors behind their (un)success. During first six months of 2018 Porsche reached sales deliveries of 130,598 vehicles (+3%), also reported increased revenue to EUR 12.3 billion (USD 14.3 billion) (+4%). Considering Porsche had to grow its workforce (+5%), mostly driven by readying for preparation of Taycan production, we salute Porsche for managing to have the operating result increased too, although slightly, by one per cent to EUR 2.2 billion (USD 2.55 billion). Currently Porsche AG reports having 30,785 employees. “We are also continuing to invest in the future of our brand: Electrification, digitization and connectivity are major challenges that we are choosing to view as an opportunity. Next year will see the market launch of the Taycan, the first purely electric Porsche. It will set standards for the future of mobility,” said Oliver Blume, Chairman of the Executive Board of Porsche AG. USA and South America each showed +7% in increase of deliveries compared to the last year, Europe as a whole is reported to have +9% increase and Porsche was most successful in its home market of Germany showing impressive +11% increase. Deliveries decreased in China (-7%) and Asia-Pacific, Africa, Middle East (-4%). Despite sales delivery decrease, China remains the strongest individual market for Porsche with 33,363 vehicles delivered, ahead of the USA (29,421 vehicles). 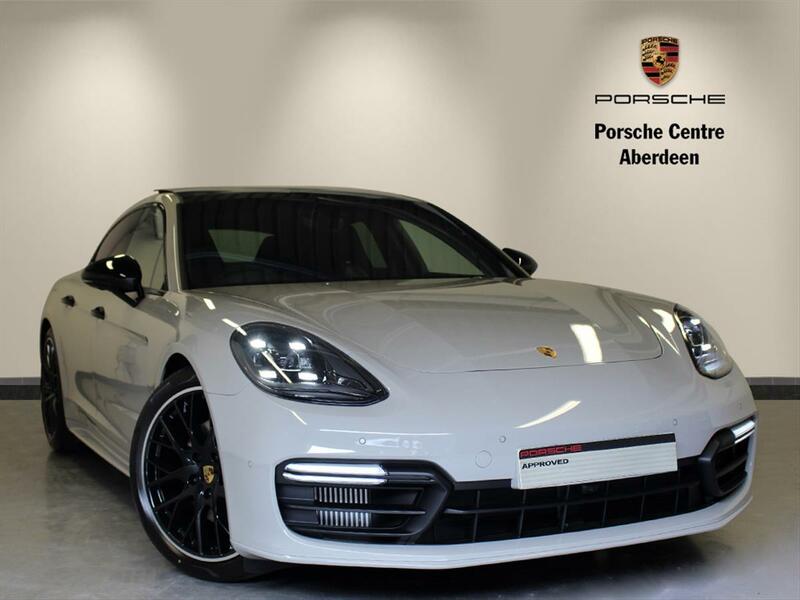 In terms of vehicle deliveries, the Panamera saw the greatest increase in the first half of the year: By the end of June, Porsche had delivered 20,500 units of the four-door sports car to customers, almost double the figure from the same period in the previous year. Porsche is no exception from yet world-wide trend of SUV driven sales volumes: the highest-volume series continue to be the Macan with 46,600 vehicles delivered and the Cayenne with 28,700 deliveries. Porsche produces its model 911 since 1963 and really knows how to make it desirable as ever. With this year being the last for this generation 911 with it’s next generation round the corner for 911, other manufacturers can only envy Porsche of such disability by the end of model’s life-cycle. During first half of 2018 the 911 also saw double-digit growth with an increase of 28 per cent, amounting to 21,400 vehicle deliveries worldwide. Mr Oliver Blume is well aware of this value: “It is particularly pleasing to note that the iconic 911 is in such demand, given that this year we are celebrating ‘70 years of the Porsche sports car”. From what we see, Porsche AG has succeeded in timely identification of marked challenges and made its decisions accordingly. Switching it’s iconic 911 model to a hybrid powertrain might not be quickly accepted by traditionalists, but with strong diversification in sales deliveries towards SUVs (Macan and Cayenne, plus Cayenne-coupe in plans) and its first full electric Taycan model joining forces, Porsche seems to really know how to perceive challenges as opportunities. I am not surprised to see the Panamera sales increase dramatically. The earlier models had that awkward humpback design which was a poor compromise between a fastback and a station wagon. It is clear that Porsche used the rear styling from the upcoming Taycan first on the Panamera, and the improvement is dramatic. I am not surprised that the Macan is their biggest seller. It is pretty good looking for this segment, and the turbo model is downright quick! But the top model can easily slip past $100K, and for that kind of money I would something else...like the Taycan.